I SAW MY LAND: Performers putting on a show for the huge crowd. Inset, Harris. 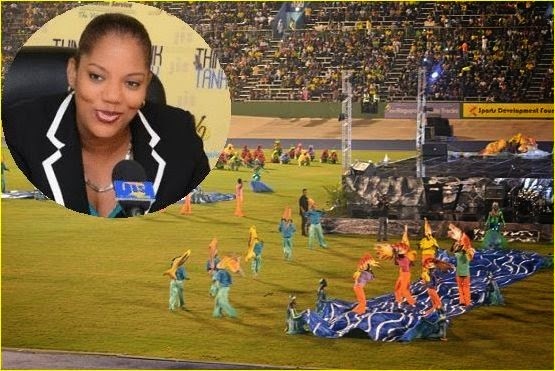 Lead producer Dahlia Harris worked it up as a one-woman public complaints authority in the immediate aftermath of Wednesday's mega-successful Grand Gala showcase at the National Stadium, fielding questions and comments on everything from the lighting design options to the choice of music to the length of some of the performances. But, in large part, those who made a beeline for the culture ministry's Principal Director following the spectacular production had nothing but glowing praise for a job well done. 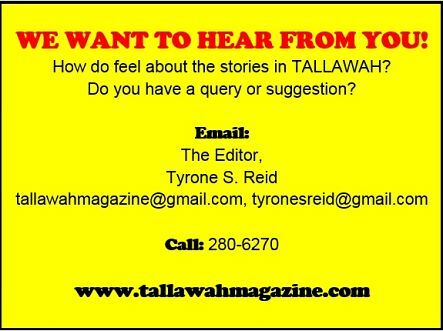 Naturally, TALLAWAH was in the thick of the excitement and posed a few questions that we all want the answers to. TALLAWAH: Congrats on orchestrating a first-class production. What was it like putting together a show of this magnitude? Dahlia Harris: When we sat down this year, one of the things that we wanted to do was make the messages out of Jamaica Festival a little bit more focussed and cohesive. And so we thought that if the Grand Gala was going to be the climax, a lot of things that we kept saying over the weeks and months had to happen here as well. That was the first consideration. And then we wanted it to be very artistic in terms of lighting and colour and choreography and so on. And I think we we pulled that off. Rita Marley's absence from the I-Threes reunion was poignantly felt. Did you guys reach out to her? Absolutely. But Rita wasn't here in Jamaica unfortunately, and so she wasn't able to be a part of it. Sister Marcia, once she heard she was being honoured, reached out to both Judy and Rita. But, you know, it happens from time to time when they are supposed to reunite. They are three mega artists now on their own and we respect them for what they have achieved in the music. Fusing the fashion and the classic cars brought an elegant touch to the event. Whose cool idea was that? Because the fashion was very avant-garde, we thought, How do we bring it into the Stadium in a way that puts fashion in the limelight? And that's how the idea for the classic cars came about. And I think it worked. And we want to big up the designers [NeahLis, Barry Moncrieffe et al] because when we called on them they jumped on board. The massive flash-mob style dance performance of Marcia Griffiths' "Electric Slide" was an irresistible delight. We were blessed to have a strong artistic team: Bert Rose as Artistic Director, MoniKa Lawrence and Barbara McDaniel as lead choreographer, and they had their own team of choreographers. And so they went into the communities and then brought [the dancers] all here together. You never know how massive it is until they all come together on the field and you say, Wow. It was an effort to bring out the artistry from the communities. I'm sure you heard some of the complaints about tickets not being made available early enough. How do you respond? If we put the tickets out too early we run the risk of having to put security measures in place. We didn't want a situation where tickets are scalped. So we put them out in a time frame that we believed would allow for some kind of fairness. The National Stadium only holds so many and no more. Every year you're going to get complaints about it. We try to ensure that for those who can't come out at least they have radio and television coverage so they can be a part of it. Marcia Griffiths, Freddie McGregor and The Skatalites were specially recognized. How were the honorees chosen? This year Marcia Griffiths celebrates 50 years in the business, Freddie celebrates 52 and The Skatalites 50, and we thought that having three of our reggae music legends celebrating half-a-century in the business was critical enough for us to recognize it during the show. How do you plan on improving on this winning formula for next year? One of the things we have to do is keep the time. We have a certain time frame in mind and we want to tighten up on that. We've already started to think of the concepts we want to push for next year. So we want to meet with the team earlier and get more people involved.